It’s still dark when my mother and I wake up in her old room at my Abuela’s house. It’s so quiet we find ourselves almost tiptoeing on the way to the dining room so as not to disturb the stillness. Abuela is in the kitchen, but her cup of café con leche is on the table at her place. I try to be quiet as I sneak a sip, but she hears me. “Estás cachando mi café chiquilla condenilla?” Are you sneaking my coffee, you naughty little girl? Of course I start giggling and go into the kitchen. She picks me up and kisses my cheeks before putting me back down. We wish her a good morning and assure her that we slept well. She pours a cup of freshly made coffee (chorreado) for my mother. Then she pours my cup nearly full of foamy hot milk before adding just a bit of the inky black coffee I love. I walk very slowly to my place at the table, being careful not to spill it as I set it down. I choose a little silver spoon and add sugar to my café con leche before taking the first heavenly sip—it never tastes this good back in Tennessee. This excerpt from my manuscript on childhood memoirs at my grandmother’s helps explain why I often say I have coffee in my blood, and why that is only a slight exaggeration. Costa Rica’s very existence is in great part thanks to the “grano de oro,” the golden grain, and I am descended from two of the great coffee families of the 1800’s, as are many Costa Ricans. During my lifetime a great uncle still had Arabica coffee plantations, so by the time I was five years old, I knew what good coffee should taste like. A coffee drinking child was an oddity in the U.S., but all my Costa Rican cousins and friends drank small cups of sweetened “café con leche” (coffee with milk) once or twice a day, just like I did. My Tennessee grandfather found my taste for coffee amusing and I still have the little cup he found for me through his restaurant business. Once, when I was about 5 or 6, I asked for a cup of coffee on what was probably Piedmont airlines. The flight attendant was understandably skeptical and only agreed to bring it because my mom said it was okay. Then, she waited to see if I was really going to drink it. Nearby passengers were also looking on. I mixed in some sugar, took a sip, and… “Bleh! This is the worst coffee I ever tasted!” I think every passenger within earshot erupted in laughter, which is probably why the scene is forever etched in my memory. That was my first lesson in learning that coffee wasn’t always yummy. I still avoid airplane coffee, because rarely do I have a cup that doesn’t make me want to go “bleh.” Yes, I’m picky about my coffee, and my daughter says I raised her to be a coffee snob too, making it hard for us to find a good cup of coffee anywhere but home. Now, in case you didn’t know, it wasn’t legal to sell export quality coffee in Costa Rica before 1985. The only way you could enjoy high quality coffee was to have a cafetal (coffee farm) in the family like I did. It was all I knew. When the last family cafetal was sold off in 1983-84, I spent a very dismal year discovering that good coffee was impossible to find. If you wonder why a good cup of coffee is still hard to find here, it’s because of this history. There was no need to develop serious coffee making skills when you couldn’t buy high quality beans. Thankfully, Steve Aronson, the founder of Britt Coffee, set out to change the laws that prevented Costa Ricans from enjoying their own good coffee, and in doing so was instrumental in opening the door to an entire local industry built around high quality coffee. Britt’s biggest break in introducing the high quality coffee to locals and tourists came when the Alma de Café (Soul of Coffee) café inside the National Theatre began serving Britt coffee. The rest, as they say, is history. Just so you know, the Teatro Nacional café is still the absolute best place to find a perfectly made cup of coffee in downtown San José. They have an amazing coffee machine—only two like it exist in the entire country. (It’s possible Britt still has the other one.) Their well trained baristas know what they’re doing and will fix your coffee exactly the way you want it. Afterwards, try to go upstairs to see the unique ceiling mural of the Costa Rican coffee pickers, which is on a list of most beautiful ceilings in the world. I encourage you to visit one of the many coffee tours now found all over Costa Rica. My favorite is the Britt Coffee Tour in Barva of Heredia; partly because I know the family and appreciate their standards of social and environmental responsibility, and partly because their tour was the original and they do an excellent job of entertaining as they educate. It’s a little cheesy sometimes, but everybody I’ve taken has enjoyed it. 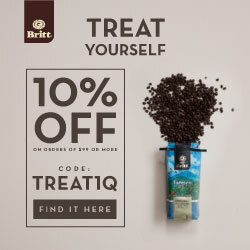 I have been drinking Britt more often than not since 1985, but since returning to Costa Rica I have been trying many of the regional and artisan coffees that now fill the shelves. Bohío has been one of my favorites for making the best café chorreado (pour over). The last magical, but critical, factor is “la buena mano”, which is the good hand of the maker. Some people have the feel for making a perfect cup of coffee every time. My grandmother had it, and I’ve been lucky to find a few gifted barristas. Costa Ricans drink a lot of coffee, and an area of Nicoya is home to one of the world’s “Blue Zones”, so called because of their high numbers of centenarians. My Central Valley raised grandmother enjoyed coffee until she died at 105, as did the neighbor who was still cutting his own grass at 103, and the many other active 80, 90, and 100+ year “oldsters” that I grew up around. This is why it was such a surprise for me to encounter the “coffee is harmful” mentality I discovered when I moved back to the U.S. in 1996. Now, let me put on my holistic nutritionist hat for a few moments. A twenty year, 1400 person study in Finland concluded that people who consumed 3-5 cups of coffee a day throughout their 40’s and 50’s enjoyed a huge decrease (60%-80%) in risks of Parkinson’s, Alzheimer’s, and diabetes, up to 100% relief from migraines, headaches, asthma attacks, and constipation, and a number of other benefits. Instant coffee proved nearly worthless, and it appears that most benefits are lost in the decaffeination process. Early studies indicated that caffeine was the beneficial constituent, but further research found that caffeine alone was not enough. As always, the search for the isolated “magic bullet” fails. One must take into account the thousands of phytochemicals and antioxidants in coffee that interact with the body’s complex systems. It is notable that most researchers increased their coffee intake following these studies, and even Harvard and the Mayo Clinic acknowledge the value of coffee. I suffer rare but potentially debilitating migraines. The first thing I do when my pre-migraine aura appears is make myself a strong cup of coffee. I follow it with my preferred OTC pain medication (not available in the US) and capsules of ginger and feverfew. Usually, within 20 minutes I’m able to go about my day normally, having completely knocked out the migraine before it hits. A few years ago two members of my family developed headaches at nearly the same time. They both took OTC pain killers but experienced little to no benefit. Within minutes of drinking the coffee I made for them, both said that next time they’d skip the pills altogether and have the coffee only, because of the virtually instant relief they experienced. Even if coffee alone doesn’t work for you, know that coffee increases the uptake of pain medication and pain relief by at least 40%. Despite its benefits, coffee isn’t good for everyone. If you are highly sensitive to caffeine, you should avoid it. Individuals with certain health issues like liver disease should also use caution. Many women find that a very early sign of pregnancy is aversion to coffee. It definitely was for me. There is surely a reason for this, and I encourage women to heed Mother Nature and abstain throughout pregnancy and lactation. Then, there’s the part of the coffee fruit that you don’t get in a cup of coffee. Coffee beans are seeds wrapped in a thin layer of sweet fruit within the coffee berry. As a child, it was always fun to pick a handful of red berries and snack on them while outside playing. It turns out that the coffee berry contains a multitude of unique polyphenols and glyconutrients that support immune system function, healthy blood glucose levels, and cellular repair. I recently had brownies made with coffee berries, and let me tell you, they were phenomenal! They were moist and tasted of coffee flavored chocolate with a hint of cherry. Now I have to track down a source for the berries. By the way, I’m a brownie snob, too, so my raving about those brownies means something! If you’re one of those people who worries about drinking coffee, I hope I’ve eased your mind a bit. I don’t drink gallons of it, but my 2-3 cups a day are espresso strong and topped with hot milk. I’ve recently finally learned to make a good cup of café chorreado worthy of my Abuela. I thoroughly enjoy my first rich cup in the morning. Between 2:00 and 3:00 in the afternoon, no matter where I am or what I’m doing, my inner “coffee time” alert goes off and sends me in search of my afternoon cup. Now that I’m back in Costa Rica, the afternoon rains sometimes trigger it too, as some of my fondest memories involve sitting at my grandmother’s table for afternoon coffee and chatting with her as the rain poured down a few feet away. So much of the history of Costa Rica is entwined with that of coffee, and there are amazing photograph filled books available about it these days. I hope I’ve given you reason to look through some of them. I’ll end this with a list of some of the most popular places to have a cup of coffee in Costa Rica, based on my experience and the recommendations of others. I’m listing them in order of votes, so the higher up on the list, the more popular the place. I look forward to trying out some of the places that I’ve never been to, and just maybe I’ll meet a few of you in person that way! Puro Café and Pura Vida! The Link below is to an article about the recent coffee competition Taza de la Excelencia (Cup of Excellence). After a week of tasting, the panel of judges from nine countries chose a coffee from Tarrazu as the winner. That sounds like an exciting goal! I grew a few plants in my sunroom in Upper East TN, and they actually flowered and set fruit, but of course only a handful of berries. It was still fun to do. You sure have sampled a large number of “cafeterías”!!!! I agree with your choice of the ones I know! Years ago, we “discovered” coffee from the Dota area, and visited the “beneficio” in Santa Maria de Dota. It was a great visit. Since then, I order their coffee, they have various qualities. They even have a kind of “appellation contrôlée”, where the package indicates exactly the finca and lot where the coffee was grown. But even their export-quality coffee packaged for the local market is delicious. I haven’t sampled all those places I named! I asked around and asked people on Facebook and listed the ones that at least 2 people mentioned. I will have to start sampling though! In my trips to Costa Rica I haven’t had a chance to try any of those coffee shops. But I do love the brands from the Naranjo area. Cafe Naranjo and Sun Blessed are my favorites. If it gets better than that I sure to want to try it! We do mission work in Sarchi in the summers and I hope to be able to visit one year specifically to do some sight seeing. That would be wonderful for you! I wish you the best!